In this paper I wish to do two things; to try to trace the roots of a particular interpretation of Charles Hodge's theological method, the one outlined in the first seventeen pages of his Systematic Theology, and to indicate how popular and uncritical this interpretation of him has become. Then, in the second half of the paper, to try to show what Hodge really said and implied and that the latest criticisms of Hodge, those offered by Kevin Vanhoozer, are simply a replay of the uncritical chorus. This paper is intended as neither an attack nor a defence of Hodge, but only as an effort to put the record straight. The criticism, in a nutshell, is that Hodge has a naively inductivist view of science and applies this to the relation between Scripture, which is a 'storehouse of facts', and the construction of systematic theological doctrines. It is alleged that this approach, besides having a primitive view of scientific method, does not make sufficient allowance for context, or presupposition, or for having due regard to the organic character of Scripture. It is said to be unacceptably positivistic, objectivistic and empiricist. Perhaps the taproot of this criticism lies in the brief discussion that the Reformed theologian Herman Bavinck has of Hodge, though this is not likely, since the Reformed Dogmatics (1895-1901) has only recently been translated. So the source may rather be Kuyper's Encyclopaedia of Theology, (1898) the second volume of which has been translated for longer. The two theologians have very similar ideas about Hodge. We shall look first at Bavinck and then more briefly at Kuyper. In the section on theological method in Volume I of his Reformed Dogmatics , Bavinck contrasts what he calls the 'synthetic genetic method' with the 'experimental' method of Charles Hodge of establishing the 'scientific' character of theology. This is part of a discussion about the scientific character of theology, about whether, following Schleiermacher, the subject matter of theology ought to be the scientific study of human religious states. This leads to the question, if Christian Theology is distinct from Religious Studies, what ought to be the method of Systematic Theology, and is that method 'scientific'? 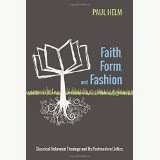 positioned in Scripture itself as the foundation of theology (principium theologiae) and from there develop dogmas. What a theologian does in that case is replicate, as it were, the intellectual labor of the church. We are shown how dogmas have arisen organically from Scripture - that the firm and broad foundation on which the edifice of dogmatics rises is not a single text in its isolation but Scripture as a whole. 'Synthetic-genetic' presumably because the theologian synthesises the dogmas of the church from Scripture, and shows how these dogmas have their roots in Scripture. Bavinck sharply distinguishes this method from the 'empirical or experimental method' of Charles Hodge. He understands Hodge as applying to Scripture the Baconian experimental method of (1) collecting the facts, (2) framing an explanatory hypothesis for them, and testing the hypothesis experimentally, though actually he does not take these points from Hodge himself but from Robert McCheyne Edgar. Correspondingly, he [Edgar] says, the first task of Christian dogmatics is to gather the facts, say the facts of the moral world order, sin, the person of Jesus, holy Scripture etc. The second task is to attempt to explain these facts by the presupposition of creation, fall, the deity of Christ, the inspiration of Scripture. And finally, the theologian must verify them by what Scripture teaches concerning these presuppositions. In divine revelation word and fact are always connected; it does not merely convey facts that we have to explain, but it itself clearly illumines those facts. Scripture does not show us some facts that we then summarize under the rubric of sin, but it tells us itself what the essence of sin is. It not only tells us what Jesus has done but also who he was. Without this explanation we would not understand the facts at all and would give them a totally wrong interpretation. The term hypotheses is completely inappropriate here. In the first place, the doctrine of the origin and essence of sin, to cite an example, or the doctrine of the deity of Christ, is not a hypothesis we have conceived but part of the witness of Holy Scripture. Furthermore, that doctrine, based as it is on this witness, is not a human hypothesis but a word of God that as such demands faith. If God has spoken in his Word, there is no longer any room for "experiment'. Subsequent to the witness of Scripture, verification is in the nature of the case impossible in this area. This account insofar as it involves Hodge is compressed. There is no direct citation from Hodge, only a brief summary of the McCheyne Edgar article. In a work such as the Reformed Dogmatics this summary approach is understandable. Nevertheless it leaves the reader with a seriously misleading and even unintelligible account of the Princeton theologian's method. For each of the three points made by Bavinck, insofar as they implicate Hodge, seem to be off their target. The impression that Bavinck conveys of Hodge is that he thinks that Scripture simply consists of a set of facts, which the theologian then provides an interpretation for these, the interpretation coming from the hypothesis that the facts suggest or indicate. So one fact is that three men hung on crosses, and said various things. What do these facts mean? The theologian offers an interpretation. But as an account of the procedure that Hodge recommends, this is very wide of the mark. As Hodge understands matters, the 'facts' which the systematician assembles are the clauses and sentences and collections of sentences - narratives and arguments - of Scripture, and only those facts. We see from these words what Hodge means by a fact: 'Christ is omniscient', 'Christ was ignorant of certain matters', 'Christ experienced intellectual progress', are all facts ascribed to our Lord by Scripture, according to Hodge. And 'Christ could not have had a finite intelligence' and 'the Logos was clothed with a human body' are examples of inferences drawn from an incomplete induction of such facts. So though the word 'hypothesis' may be absent, the idea of a hypothesis tested by the facts is clearly present, as we have just seen. But the facts from which the inferences are drawn are not facts apprehended apart from words, but facts that are expressed in words. The idea that the data of Scripture are instances of data of a natural scientific kind is not one that Hodge entertained. In the case of the third objection, there is straight misunderstanding. Hodge is not proposing an experimental or verificationist procedure which will test the claims of Scripture by reference to data outside or apart from Scripture, but the very reverse of this. Kuyper discusses Hodge's method briefly in his Principles of Sacred Theology. Unfortunately it contains some inaccuracies: Hodge does not say that Scripture offers us no 'scientific theology', but rather that the beginnings of such theology are to be found in the New Testament epistles. Nor does Hodge say that the theologian must authenticate the truths of the Bible, which are not truths until he authenticates them. Just the reverse , in fact. And as for Hodge being brought back 'under the power of naturalistic science' Kuyper does not seem to realise that the invocation of scientific induction is purely methodological for Hodge. Hodge’s references to induction should not be misunderstood. This cannot the logic of general induction, but the induction in question is from the bounded set of expressions in the canonical scriptures. Suppose we attempt by induction to determine whether all swans are white. We discover that some are black. Are all swans either white or black? Perhaps there are pink swans in remote and unexplored regions. And what about past swans? And future swans? Induction in the natural world is necessarily unbounded in time and space. But inferences from the biblical data are the precise opposite; there is a fixed set of data the boundaries of which are known. So Hodge's appeal to scientific induction is an analogical argument: as facts are to scientific induction, so the facts of Scripture are to the inductive reasoning of the theologian. But it does not follow that the theology is a case of natural science. Biblical Theology exhibits to the student of the Word the organic structure of the truth therein contained, and its organic growth as the result of revelation. It shows to him that in the Bible there is an organization finer, more complicated, more exquisite than even the texture of muscles and nerves and brain in the human body; that its various parts are interwoven and correlated in the most subtle manner, each sensitive to the impressions received from all the others, perfect in itself, and yet dependent upon the rest, while in them and through them all throbs as a unifying principle the Spirit of God’s living truth. And in the second place, we must remember that the revealing acts of God never appear separated from His verbal communications of truth. Word and act always accompany each other, and in their interdependence strikingly illustrate our former statement, to the effect that revelation is organically connected with the introduction of a new order of things in this sinful world……to apply the Kantian phraseology to a higher subject, without God’s acts the words would be empty, without His words the acts would be blind.and of the fact that the Scriptures themselves are pre-theological documents. …the mighty creation of the Word of God furnishes the material for Theology in this scientific sense, but is no Theology. It is something infinitely higher than Theology, a world of spiritual realities, into which all true theologians are led by the Spirit of the living God. Only if we take the term Theology in its more primitive and simple meaning, as the practical, historic knowledge of God imparted by revelation and deposited in the Bible, can we justify the use of the now commonly accepted name of our science. As for the scientific elaboration of this God-given material, this must be held to lie beyond the Biblical period. The very name Biblical Theology is frequently vaunted so as to imply a protest against the alleged un-Biblical character of Dogmatics. I desire to state most emphatically here, that there is nothing in the nature and aims of Biblical Theology to justify such an implication. For anything pretending to supplant Dogmatics there is no place in the circle of Christian Theology….Dogmatic Theology is, when rightly cultivated, as truly a Biblical and as truly an inductive science as its younger sister. So Vos, writing sixteen years after the death of Charles Hodge, is not opposing induction to the stress he places on Biblical Theology as an organically related set of revealed truths, or on the intereconnectedness of fact and interpretation in the biblical revelation. This can only mean that he takes induction as a method of pursuing a resolutely a posteriori approach in gathering and understanding the biblical data, and not as denoting the entirety of theological method. This, as I shall be arguing, is Hodge’s view as well. Bavinck and Kuyper set the ball rolling, and it still rolls. Since their day, and particularly in the present day, numerous theological critics have understood (or rather misunderstood) Hodge by interpreting him through a Kuyperian lense, and accepting the criticism in a thoroughly uncritical fashion. Hodge's advocacy of an 'inductive' method in theology is said to embody all the wrong things. He is accused of being a 'foundationalist', 'positivistic', ‘empiricist’ and ‘individualistic’. These traits are said to reveal him as expressing the mentality of the Enlightenment, 'the assumption of modernity', in his pursuit of objectivity, a mentality perhaps fostered by the influence upon him of one of the most notable figures of the Scottish Enlightenment, Thomas Reid, and perhaps by the dreaded ‘Reformed Scholasticism’. By implication, in our post-modern era Hodge's theological method is to be avoided like the plague. The latest expression of such accusations that I have come across is in a piece by Professor Kevin J. Vanhoozer, 'On the Very Idea of a Theological System: An Essay in Aid of Triangulating Scripture, Church and World'. When the usual charges are uncritically levelled against Hodge, this time from a highly-regarded theologian in the Reformed family, then it's time to try to set the record straight. In the course of his advocacy of theology as involving 'theodramatic triangulation' between Scripture, church and world, Professor Vanhoozer has this to say about Hodge. Hodge's inductive method betrays certain tell-tale marks of its time, though this alone is hardly an argument against it. In particular, the method presupposes a subject-object dichotomy in which the interpreter's mind observes and analyses its object: the facts of the Bible. The direction of theological reasoning is bottom up: from biblical foundations to doctrinal formulation. The location or situation of the interpreter is irrelevant: the glory of the inductive method is that close observation allows the facts to emerge, regardless of who is doing the observing. Second, Hodge works with a dichotomy between fact and theory that has been called in question by philosophers of science who insist that data are always/already 'theory laden'. Third, Hodge's decision to read the Bible as a book of divinely revealed facts predisposes him to focus on the Bible's content and to construe this content as propositional teaching. Such a focus on revealed content runs the risk of neglecting the larger canonical context and literary form of the biblical 'facts', perhaps the inevitable result of biblical empiricism. These sentences bear certain familiar tell-tale signs, expressed in three charges against Hodge: that he presupposes a ‘subject-object dichotomy’ in which the mind observes facts (which are in some sense mind-independent), and in which the situation of the interpreter is irrelevant. According to Vanhoozer, according to Hodge anyone can do the observing necessary to being a theologian. Second, that Hodge is said to work with a ‘dichotomy’ between fact and theory, not taking any account of the theory-ladenness of data. Thirdly, that in virtue of the first and second of these practices Hodge focuses on revealed content of the Bible and is predisposed to construe that content as propositional teaching. The tell-tale signs are unmistakable: 'mind-independent facts’, the neglect of ‘situation', the focus on facts and propositions. Before we look at these three charges in turn, it is worth noticing that in this article Professor Vanhoozer says little if anything directly about Hodge's inductive approach to the data of Scripture, (though he does mention it in his article in the Kostenberger book) . Nevertheless, a word or two about this is in order. No doubt it is tautologically true that Hodge was a child of his time, and no doubt he could have benefited from the philosophy of science of children of later times, notably the claim that scientific theories are falsifiable hypotheses, not inductive generalisations from the data. No doubt Hodge's account of scientific procedure is naively Baconian. No doubt he would have learned things from Karl Popper, or N. R. Hanson, or Imre Lakatos, or even (heaven forbid!) from Thomas Kuhn. But this is not, I think, the main point. The main point of invoking induction for Hodge is simply to endorse a method which gives Scripture theological priority, allowing it to address us rather we addressing it. One imagines that for Hodge any method which ensured this outcome would be equally valid. For example, he might well have endorsed the view that every doctrinal hypthesis must be falsifiable by Scriptural data. So, at last, we turn to Hodge and his critic. First to revisiting those seventeen pages, and then to looking at Professor Vanhoozer's three charges. Hodge is concerned to distinguish what he believes to be the correct systematic theological method from two other methods which he calls, somewhat imprecisely as he acknowledges, the 'Speculative' and the 'Mystical'. The speculative method, Hodge says, 'assumes, in an a priori manner, certain principles and from them undertakes to determine what is and what must be. It decides on all truth, or determines on what is true from the laws of the mind, or from axioms involved in the constitution of the thinking principle within us. To this head must be referred all those systems which are founded on any a priori philosophical assumptions'. He then proceeds briefly to examine three forms of this Method: Deistic, (the natural religion of Herbert of Cherbury, no doubt), Dogmatic (Hodge cites the method of Anselm's Cur Deus Homo), and the Transcendentalistic (including the romantically-tinged rationalism of the New England, of Hodge's day, and more widely, Hegelianism). The second main method, the mystical, in its supernatural form holds that the Spirit of God is in direct communion with the soul, granting otherwise unattainable knowledge. Such mysticism is to be distinguished from the internal testimony of the Holy Spirit in his role as illuminator of the Scriptural truths. Mysticism in its natural form appeals to natural religious consciousness. To these methods - perhaps 'approaches' would be a better word - very broadly sketched, Hodge opposes 'the inductive method'. This method is similar to induction in the natural sciences in assuming the trustworthiness of sense perceptions, of mental operations, and of truths not learned from experience but which are given in our human constitution. By induction the scientist perceives, gathers and combines his facts, taking care as far as possible to collect only the facts and all the facts. From these he deduces certain laws. The Christian theologian proceeds in a parallel way. For him the Bible is the 'store-house of facts'. Besides the mental principles used in natural science, the theologian appeals to other naturally-implanted principles. For example, to the essential distinction between right and wrong, that sin deserves punishment, and other similar first truths, 'which God has implanted in the constitution of all moral beings, and which no objective revelation can possibly contradict'. (It is at this point perhaps that Hodge's Reidian commonsensism most clearly reveals itself. If he were alive today perhaps Hodge would express these ideas in terms of proper basicality or truth-acquiring mechanisms.) Using these principles the Christian theologian must 'ascertain, collect and combine all the facts which God has revealed concerning himself and our relation to Him'. The Bible clearly reveals what is otherwise dimly perceived, the character of the external works of God, our own consciousness and the laws of our nature, and our religious experience. Further, 'the Scriptures teach not only the truth, but what are the effects of the truth on the heart and conscience, when applied with saving power by the Holy Ghost'. Like the scientist, the theologian ought to carry out his induction as thoroughly and comprehensively as possible. In theology a partial induction of particulars has led to serious errors. It is a fact, Hodge claims, that the Scriptures attribute omniscience to Christ. ‘From this it was inferred by some that He could not have had a finite intelligence, but that the Logos was clothed in Him with a human body with its animal life. But it is also a Scriptural fact that ignorance and intellectual progress, as well as omniscience, are ascribed to our Lord. Both facts, therefore, must be included in our doctrine of his person'. must not be willfully denied or carelessly overlooked, or unfairly appreciated. We must be honest here, as the true student of nature is honest in his induction. Even scientific men are sometimes led to suppress or pervert facts which militate against their favorite theories; but the temptation to this form of dishonesty is far less in their case, than in that of the theologian. The truths of religion are far more important than those of natural science. They come home to the heart and conscience. They may alarm the fears or threaten the hopes of men, so that they are under strong temptation to overlook or pervert them.....Science cannot make facts; it must take them as they are. In like manner, if the Bible asserts that Christ's death was a satisfaction to justice, the theologian is not allowed to merge justice into benevolence in order to suit his theory of the atonement. If the Scriptures teach that men are born in sin, we cannot change the nature of sin, and make it a tendency to evil and not really sin, in order to get rid of the difficulty.....We must take the facts of the Bible as they are, and construct our system so as to embrace them all in their integrity. Finally (at least as far as we are concerned) according to Hodge 'principles are derived from facts, and not impressed upon them'. It is...unscientific for the theologian to assume a theory as to the nature of virtue, of sin, of liberty, or moral obligation, and then explain the facts of Scripture in accordance with his theories. His only proper course is to derive his theory of virtue, of sin, of liberty, of obligation, from the facts of the Bible. He should remember that his business is not to set forth his system of truth (that is of no account), but to ascertain and exhibit what is God's system, which is a matter of the greatest moment.....So long, however, as the binding authority of Scripture is acknowledged, the temptation is very strong, to press the facts of the Bible into accordance with our preconceived theories.....It is the fundamental principle of all sciences, and of theology among the rest, that theory is to be determined by facts, and not facts by theory. Summarising, two things are to be noted. The first is to underline the point that in setting out his views Hodge is prescribing a set of ideals, not describing what actually goes on. And it is obvious, in reading his words, dated in certain respects as they must be, that his overriding concern is to preserve and protect the a posteriori character of theology in its relation to Scripture, by being resolutely a posteriori in his construction of Christian doctrine or principle or theory. This is the point of the stress on induction. Professor Vanhoozer first alleges that Hodge presupposes a subject-object dichotomy in which the mind observes mind-independent facts in which the situation of the interpreter is irrelevant. This is a serious misreading, serious because it confuses two fundamentally different matters. As we have noted, Hodge is not describing what actually goes on in carrying forward the science of theology, but giving his views on what ought to happen. His words are not descriptive, but normative or prescriptive. So of course, as is made obvious by a cursory reading of the material, Hodge insists on the importance of taking into account the situation of the interpreter. He refers to it time and again. Rationalists and dogmatists and mystics bring principles to the interpretation of Scripture which they are unwilling to test by its data. We are all tempted to do this because of the importance of the issues at stake, to pervert or overlook the teaching of Scripture, to 'press the facts of the Scriptures into accordance with our preconceived theories', as he puts it. It would be easy to show that in every department of theology, - in regard to the nature of God, his relation to the world, the plan of salvation, the person and work of Christ, the nature of sin, the operations of divine grace, men, instead of taking the facts of the Bible, and seeing what principles they imply, what philosophy underlies them, have adopted their philosophy independently of the Bible, to which the facts of the Bible are made to bend. This is utterly unphilosophical. In making these observations (so it seems to me) Hodge is far from being the fuddy-duddy that he is nowadays reckoned to be, but instead has his finger firmly on the pulse of things. If by a miracle we could introduce him into contemporary discussions we may imagine him having a word or two to say about the subjectivizing and sceptical consequences of viewing Scripture through the lens of post modernity. What Hodge affirms is that it is possible by careful attention to the data, and by the help of the Holy Spirit, (another vital factor about our situation), to come to a true understanding of the teaching of Scripture even though there is a sense in which the theologian is involved in a never-ending process of revisiting the data. Whether in these ways Hodge succeeds in avoiding a 'subject-object dichotomy' is not clear, because the term itself is not clear. 'Dichotomy' means 'a sharply defined division'. Is there a sharply defined division between the subject, the human senses and intellect, and the object, the data of Scripture? Don't most of us makes such a 'dichotomy'? Aren't most of us guilty of what Hodge is guilty of here? Except in certain forms of idealist thinking the subject and the object are not the same. Hodge can only make the important distinction between the principles that we may wrongly bring to Scripture and the principles which we may rightly take from Scripture, by making a distinction between principles and facts. Any process involving the testing of theories must do the same. Contrary to what Vanhoozer claims, then, for Hodge it matters a very great deal who is doing the observing. It matters whether or not the observer is a speculator, or a dogmatist, or a mystic, or some of each. The danger of operating with preconceived theories is not a situation which Hodge himself is exempt from, nor (he would say) is anyone else. He is certainly not setting himself up as some kind of paragon. The point is that, according to Hodge, we should strive with might and main for an objectivity based on a thoroughly a posteriori approach to the data of Scripture. As Hodge proceeds to show, collecting together the facts of Scripture is not like collecting pebbles from a beach and sorting them. For the facts of Scripture are related conceptually, or ‘internally’ related, as he puts it. In a Christian view of Scripture ‘God was in Christ reconciling the world unto himself’ is consistent with ‘God created the heavens and the earth’ and ‘Our God is a consuming fire’, and it is the task of the systematic theologian, as far as he is able, to display this consistency. In other words, unlike pebbles on a beach, the facts of Scripture, expressed in the sentences and clauses of the Bible, have semantic and syntactic meaning. We can draw inferences from them, as Hodge shows from this example: ‘It is a fact that the Scriptures attribute omniscience to Christ. From this it was inferred that He could not have had a finite intelligence, but that the Logos was clothed in Him with a human body with its animal life. But it is also a Scriptural fact that ignorance and intellectual progress, as well as omniscience, are ascribed to our Lord. Both facts, therefore, must be included in the doctrine of his person’. It must be remembered that Hodge’s remarks about the nature of theological method have to do in particular with systematic theology. And for him systematic theology builds on the results of biblical theology. ‘So the Bible contains the truths which the theologian has to collect, authenticate, arrange and exhibit in their internal relation to each other. This constitutes the difference between biblical and systematic theology. The office of the former is to ascertain and state the facts of Scripture. The office of the latter is to take those facts, (viz. the facts ascertained and ordered by the biblical theologian) determine their relation to other cognate truths, as well as to vindicate them and show their harmony and consistency’. Systematic Theology is not founded on the direct and primary results of the exegetical process; it is founded on the final and complete results of exegesis as exhibited in Biblical Theology. Not exegesis itself, then, but Biblical Theology, provides the material for Systematics. Biblical Theology is not, then, a rival of Systematics; it is not even a parallel product of the same body of facts, provided by exegesis; it is the basis and source of Systematics. Systematic Theology is not a concatenation of the scattered theological data furnished by the exegetic process; it is the combination of the already concatenated data given to it by Systematic Theology. It uses the individual data furnished by exegesis, in a word, not crudely, not independently for itself, but only after these data have been worked up into Biblical Theology and have received from it their final coloring and subtlest shades of meaning - in other words, only in their true sense, and after Exegetics has said its last word upon them. So for Hodge the facts to which the systematic theologian attends are already ‘laden’ with the conclusions of the biblical theologian. It is because of the work of the biblical theologian that Hodge is able to say, 'Although the Scriptures do not contain a system of theology as a whole, we have in the Epistles of the New Testament, portions of that system wrought out to our hands. These are our authority and guide'.. So it would be a mistake to think that Hodge believes that the Bible is nothing but sets of facts and that all theological reasoning is ‘bottom up’, as Vanhoozer thinks. No, the Bible contains theories too, as the biblical theologian teaches us. The language of the Bible is laden with them. Perhaps Hodge would be inclined to say that in the Bible ‘God’ is a theory-laden term. ‘God was in Christ reconciling the world unto himself’: is that not a theory-laden statement? Would Hodge deny it? So besides facts, Scripture, especially the Pauline epistles, also provides us with portions of systematic theology. This is why Vanhoozer is inaccurate in supposing that Hodge makes a principled distinction between the facts of the Bible and the systems that theologians devise. The Bible already contains valid samples of such a system, according to Hodge. 'It is no less unscientific for the theologian to assume a theory as to the nature of virtue, of sin, of liberty, of moral obligation, and then explain the facts of Scripture in accordance with his theories. His only proper course is to derive his theory of virtue, of sin, of liberty, of obligation, from the facts of the Bible'. The theologian is the focus of the influence of competing theories. Those he brings to the Bible, so distorting it, and those he obtains from the Bible after proper induction, involving inquiring into, summarising and connecting up its teaching. Unsurprisingly, therefore, systematic theology 'is not an easy task'. The idea that Hodge plays down or dismisses theories, and allows that anyone can be a systematic theologian simply by assembling the facts of Scripture, without courting the danger of having those facts distorted by false theories, is a major misunderstanding. Finally, Vanhoozer claims that in virtue of the first and second of these practices Hodge is predisposed to construe the content of the Bible as propositional teaching. Well, Hodge certainly does construe the content of the Bible as propositional teaching, though interestingly enough an induction of the seventeen pages shows that the word 'proposition' is never used there. However, Hodge refers to 'the truths' of the Bible, and 'the facts of Scripture', and I suppose that he would not deny that these truths and facts are expressed, or are expressible, in propositions. 'God was in Christ reconciling the world unto himself' is (Hodge would say), a fact, a true proposition, a truth. Whether asserting such things 'runs the risk of neglecting the larger canonical context and literary form of the biblical “facts”, perhaps the inevitable result of biblical empiricism', as Vanhoozer claims, is hard to tell. Perhaps it does run this risk. And perhaps not. I rather fancy that Hodge, who was something of a Bible commentator, was appraised of the different literary forms of the Scripture, capable of distinguishing between parables, narratives and wisdom literature, and the literal from the metaphorical. As we've already noted, he believes that the Epistles of the New Testament are unique among the other books of the Bible in providing for us fragments of systematic theology. If behind the dislike of ‘propositional theology’ there lurks the fear of equating 'propositional' with dry, detached truths located in a dry, detached theological system, then Hodge’s words may also allay such fears. At two places in the seventeen pages Hodge notes that the Bible contains not only doctrines, or theories, or principles, or truths, but also states 'what are the effects of the truth on the heart and conscience, when applied with saving power by the Holy Ghost....The Bible gives us not only the facts concerning God, and Christ, ourselves, and our relations to our Maker and Redeemer, but also records the legitimate effects of those truths on the minds of believers'. So whatever defects ‘propositional theology’ might nowadays be thought to have, one cannot, I think, reasonably charge Charles Hodge with proposing that the appreciation of revealed truth should be dry or detached. Unfortunately, Professor Vanhoozer's negative comments about Charles Hodge's systematic theological method are not novel. As we have seen they are part of the retail trade of disparagement of Hodge and Princeton theology occurring more generally within current evangelical and Reformed theologising. But that does not excuse their inadequacy. The comments are inaccurate at numerous points and unbecoming a serious scholar. Vanhoozer is of course fully entitled to develop his novel view of systematic theology as ‘theodrama’, a triangulation of Scripture, church and world, but it is wrong to use a distorted and partial account of Charles Hodge’s theological method to aid him in that task. Hodge is not an untouchable icon: he shared in our common infirmities. But he is entitled to have his views fairly presented . In the Analysis for June 07 (‘Systematic and Biblical Theology’) and that for July 07 (‘Bishop N.T. Wright’s ordo salutis’) we have noted the importance for systematic theology of appreciating logical distinctions that are not temporal or causal distinctions. Here's another instance. The double grace is reconciliation through Christ (justification) and sanctification. Now if it is true - a fact abundantly clear - that the whole of the gospel is contained under these two headings, repentance and forgiveness of sins, do we not see that the Lord freely justifies his own in order that he may at the same time restore them to true righteousness by sanctification of his Spirit? According to Calvin, then, justification is logically prior to sanctification. It makes sanctification possible, and also makes it necessary. Between the two there is a significant difference. So what kind of distinction is there between justification and sanctification if they are inseparable? A logical distinction, a distinction of thought, but yet a distinction of the utmost importance, for confounding the two is deadly. There is no time when a person is justified and not being sanctified. No time when a person is being sanctified and not already justified. While from the point of view of their source, the one Christ, there is symmetry, from a logical point of view justification is distinct from sanctification; they each have ‘peculiar qualities’. They are two different ideas. This way of coupling justification and sanctification, as a double gift of the Saviour, is a stroke of genius, the genius of insight. 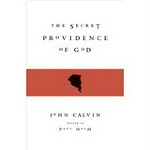 In one bold move, grounded in the Pauline teaching of union with Christ in Romans 6, Ephesians 4, Philippians 3, and especially I Corinthians 1.30, Calvin sees that justification and sanctification are the one gift of the King, a gift with two aspects, a two-fold grace. Justification does not cause sanctification. Sanctification does not follow in time after justification. Justification is not sanctification. Sanctification is not justification. Each is given directly by the King. One is a status-matter, the other is a matter of subjective renewal. Yet they are inseparable gifts, two gifts wrapped together. In fact, one gift with two inseparable halves. This stroke of genius makes apparent a biblical idea of wonderful simplicity. The risen and ascended King gives gifts – chief among them free justification, and free sanctification, bound inseparably together. Once it is pointed out to us, how obvious it seems! Even a child can understand this. This way of thinking preserves the Reformation and biblical teaching of the forensic character of justification, the imputation of an 'alien righteousness'. But it also retains what is the essential truth behind the medieval misunderstanding of justification, that subjective renewal is essential; not essential to justification, but an essential consequence of it, bound inseparably to it, not something which is simply tagged on. The one gift is of two graces in parallel, though the way each gift blesses the recipient is very different. So in considering the logical relations between justification and sanctification as Calvin teaches them we may think of 'four points’.